We’re excited to introduce our Fall 2015 Trousers Collection. This new collection includes seven pant styles, all available in two comfortable fits – classic and slim. The collection includes a Brown and Wool Cashmere, Light Gray 100% Worsted Lambswool Flannel, Blue Super 120s, Tan 100% Worsted Lambswool Flannel, Charcoal 100% Lambswool, Brown Donegal 100% Lambswool, and Charcoal Plaid Weave 100% Wool. 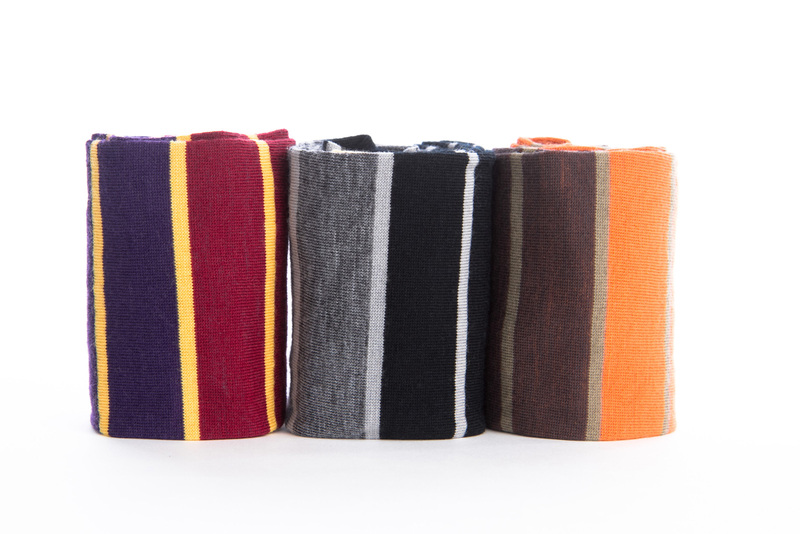 We’re excited to introduce our Fall 2015 Necktie Collection. This new collection features four 100% Donegal wool styles. 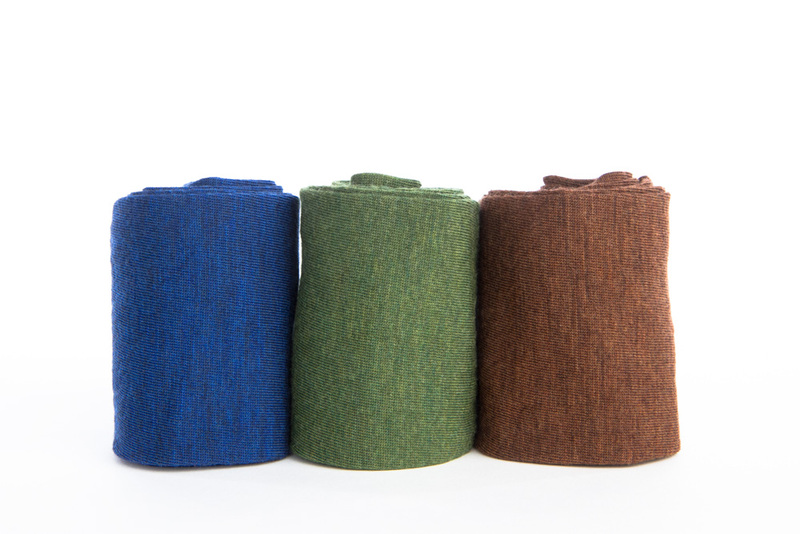 Each colorway – Brick, Brown, Sage, and Navy – is perfect for the Fall season. These handmade ties are available in very limited quantities. Get yours while supplies last! Today’s Feature Friday spotlights one of our retail partners in North Carolina: High Cotton. High Cotton was established in 2010 by the Hill family. The company’s flagship store opened in Raleigh in 2013. High Cotton made a name for itself with its stylish North Carolina-made bow ties. The brand has since expanded to offer neckties, cummerbund sets, sport shirts, t-shirts, braces, belts, and other accessories. The flagship store carries High Cotton items and a selection of menswear products from other brands. Raleigh is the capital of North Carolina. Raleigh is nicknamed “City of the Oaks” because of its many oak trees. The city is part of “The Triangle” – along with Durham and Chapel Hill. Raleigh is home to North Carolina State University and Shaw University – the first historically black university in the South. Andrew Johnson, the 17th President of the United States, was born in Raleigh. -Solids: We’re introducing six new solids this Fall. 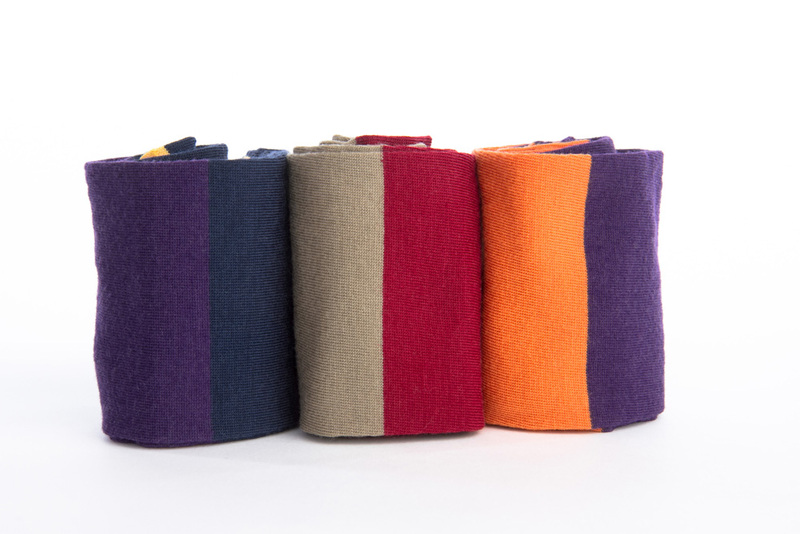 We’re calling three of these solids “melange” as they have a heathered appearance. These melange socks – available in blue, green, and brown – feature tipping on the toe/heel that makes for a truly sophisticated look. The three other solids come in our traditional ribbed look. 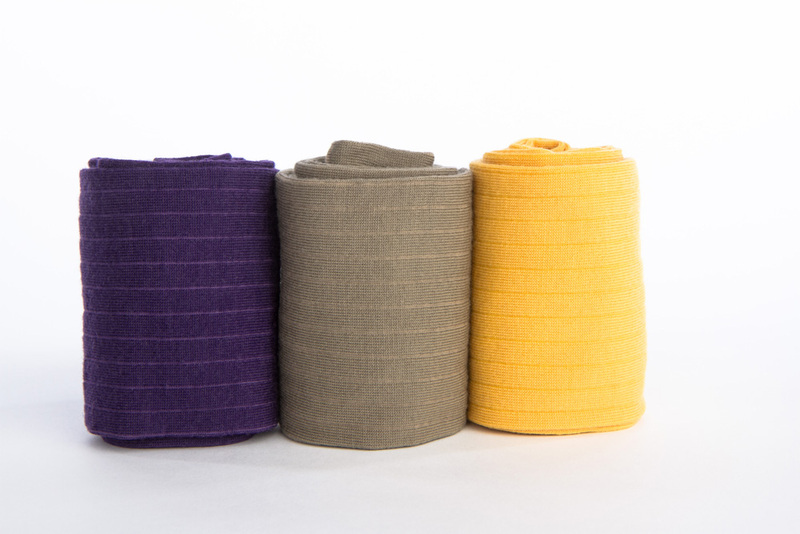 These ribbed styles are available in our new deep purple, earth, and saffron. -Block Solids: In addition to the six solids mentioned above, the new collection includes three “block solid” styles – a new Dapper Classics style. Each block solid style features three unique colors. When the sock is worn with footwear, it has the appearance of a solid. When your footwear is removed, the accent colors of the sock are noticeable. In effect, the block solid offers the look of two different styles in one sock. Our block solids come in navy (with purple and saffron accents), earth (with red and brown accents), and purple (with burnt orange and red accents). -Double Stripes: This Spring we introduced a new stripe style that we coined the “double stripe”. 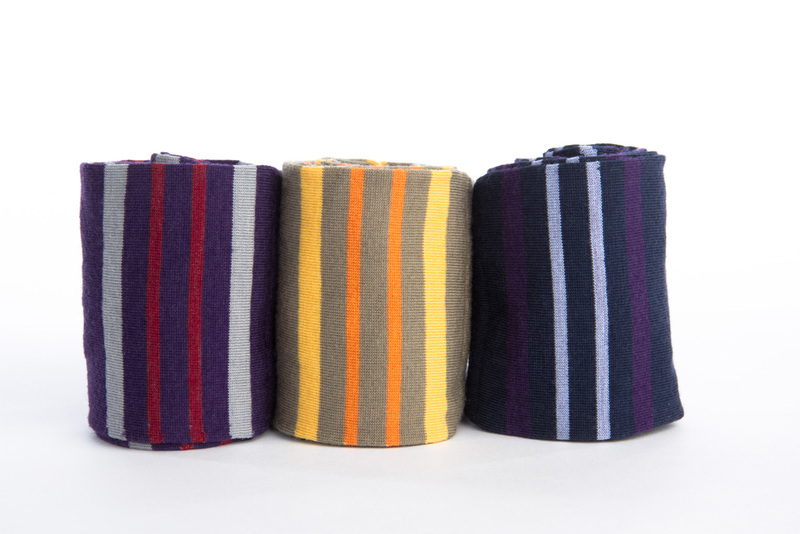 Our Spring double stripes were a hit, so we decided to offer the same design in three Fall colorways. As you can see, each design incorporates our new Fall colors. -Block Stripes: This all-new style combines our block solid look and classic stripe design to offer a truly unique sock. 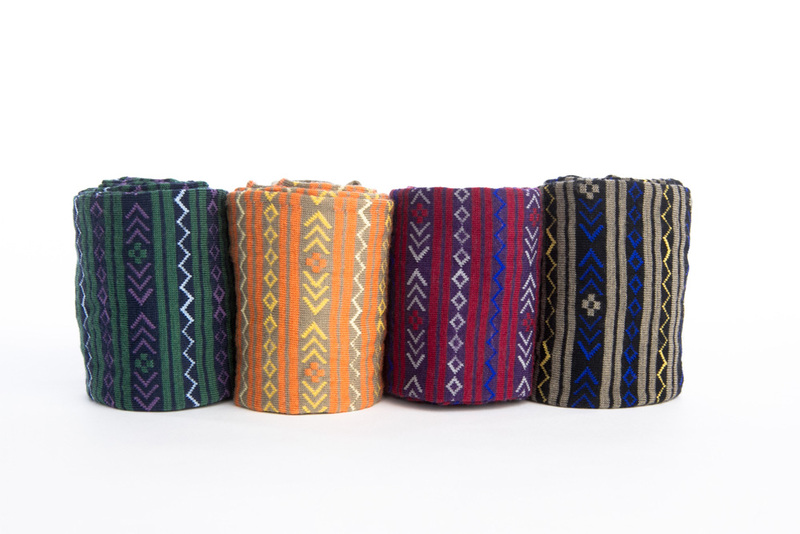 Each of the styles incorporates four colors–three body colors and a tipping color. -Argyles: Some of you have been asking us “when is Dapper Classics going to make argyle socks?” The answer is now. This Spring we experimented with the argyle look by knitting a few raker designs. 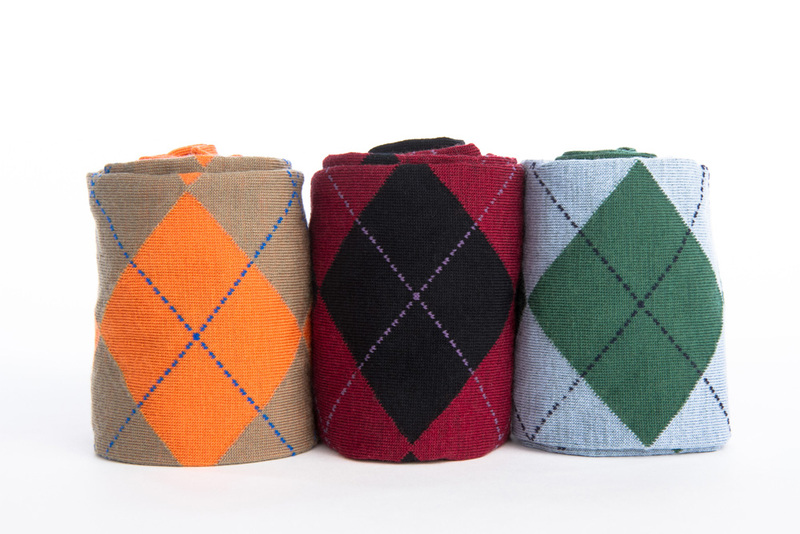 The response was positive, so we decided to include some argyle styles in our Fall collection. Ask and you shall receive, friends. -Fair Isles: There are a few patterns that have stood the test of time – argyle being one of those. Fair Isle is another pattern that has remained stylish. We’re really pleased with how our Fall 2015 fair isle pattern turned out. 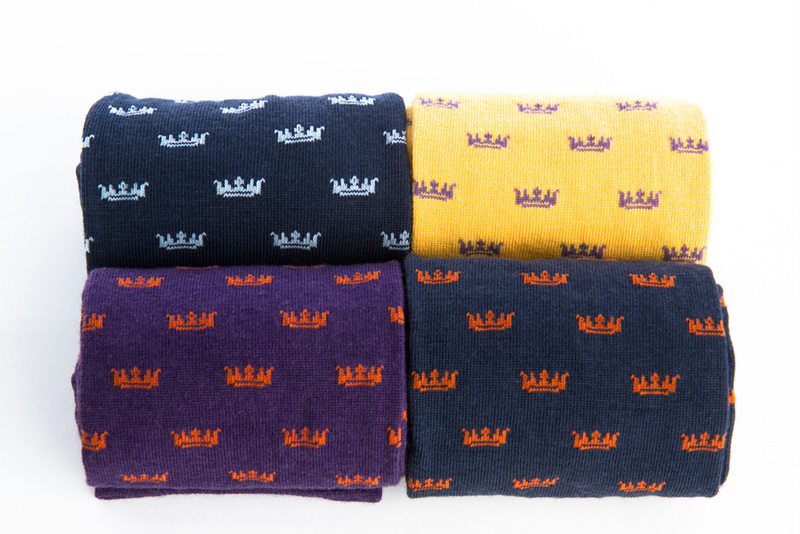 These patterned socks – available in four styles – have a distinctly Fall/Winter look. -Motifs: Wearing Dapper Classics socks makes for a regal look. 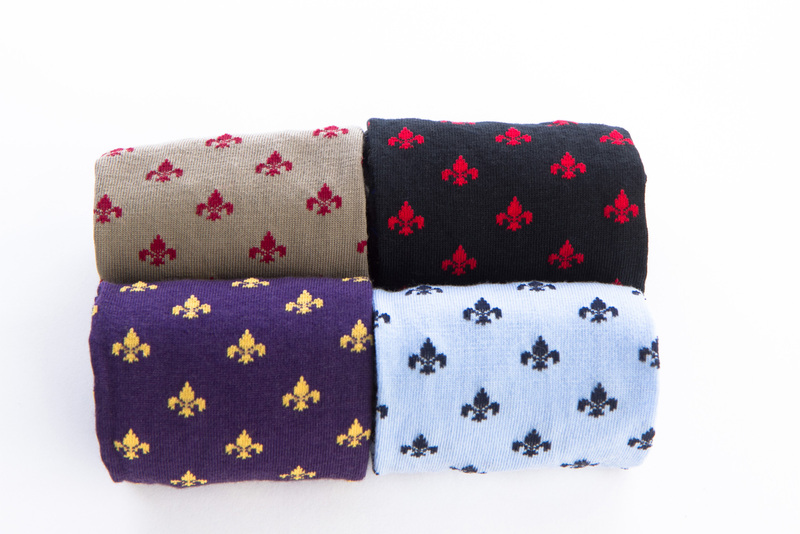 This Fall we decided to play off this idea with two new royalty-inspired motif designs – fleur-de-lis and crown. Enjoy shopping our new Fall sock collection. More Fall items are on the way! Today’s Feature Friday spotlights one of our retail partners in Pennsylvania: Schweon’s. Schweon’s is a family-owned and operated business that opened in Feasterville in 2006. The store carries a wide selection of men’s and boy’s attire – from casual wear to formal wear. The friendly and knowledgeable staff at Schweon’s works hard to ensure that each customer has a positive shopping experience. As a result, the store has quickly become a community favorite. Feasterville is located in Bucks County in eastern Pennsylvania approximately 20 miles north of Philadelphia. Bucks County was one of the original counties founded by William Penn. An important place in U.S. history, Bucks County is where George Washington and his troops camped just prior to crossing the Delaware River during the American Revolutionary War. Today’s Feature Friday spotlights one of our retail partners in South Carolina: 319 Men. After years of retail experience, Timothy Shaw opened the store in Charleston in 1989. Shaw’s sons are both involved in the business. His oldest son works the sales floor and buys for the store. His youngest son sings and plays mandolin outside the shop and is learning sales. 319 Men offers a wide selection of menswear and accessories. We’re proud to say that adding Dapper Classics socks was the first buying decision made by Timothy, Jr.
Charleston is the oldest city in South Carolina. The city, originally known as “Charles Town”, was named after King Charles II of England. Charleston is known for its rich history, beautiful architecture, and mannerly people. Southern Living named Charleston “the most polite and hospitable city in America.” Travel + Leisure magazine has recognized Charleston as “America’s Most Friendly” city three out of the last four years. Our friends at 319 Men are featured in an upcoming Travel + Leisure piece on Charleston.